Cheryl is a 50 year old woman who has fibromyalgia and rheumatoid arthritis and lives alone. She uses a walker for short distances inside her house and a wheelchair when out of her home. For over a year Cheryl has required assistance getting in and out of her home and could only get down her steps by sitting down and moving down each step. She gets help from her family and other caregivers but was unable to leave her home independently. 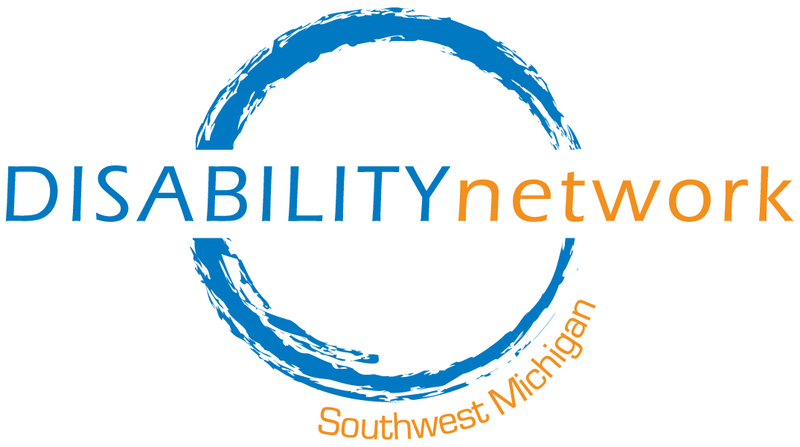 Disability Network Southwest Michigan’s Ramp Up program changed all this for Cheryl! 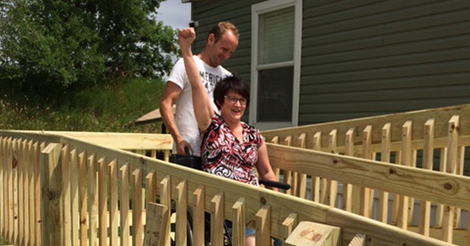 You can help provide independence to someone in our community with a RAMP-A-THON donation! Ramp-a-Thon supports our Ramp Up program which builds or purchases ramps for people with mobility disabilities in Southwest Michigan. Ramps are expensive and many of the people who need them most are on a fixed income. The dollars needed for materials and labor to build or install ramps presents a barrier to people with disabilities trying to live independently at home and be part of their community. No donation is too big or too small! Please use the button below to make your on-line donation or contact Kristen Potts (269-345-1516 x119) in our Kalamazoo office for other donation methods.